My Designer name was KiKeKa Kits - crafted by Gina. I retired that name. 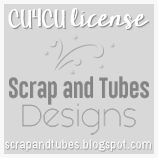 These are the CU4CU license that I hold.